TerraCycle make millions recycling trash and turn it into useful products, such as fertilizers. 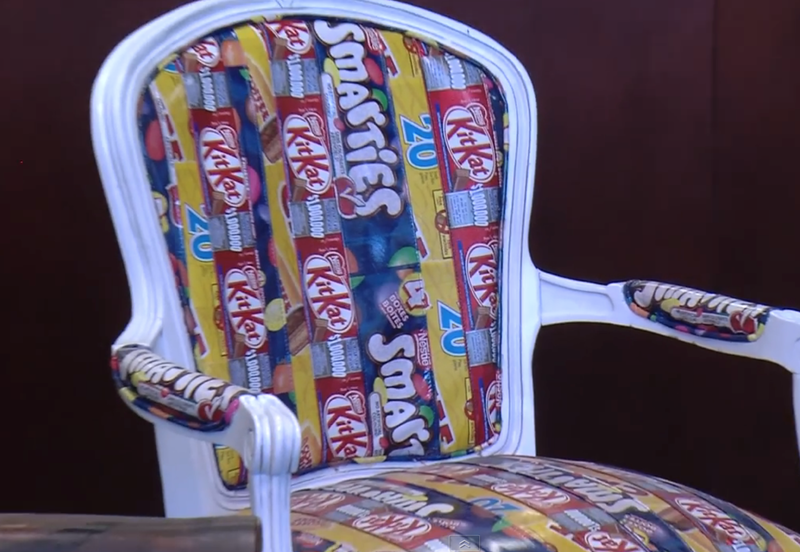 Or take a look at their chair beautified by candy wrappers! Great cause to participate in! 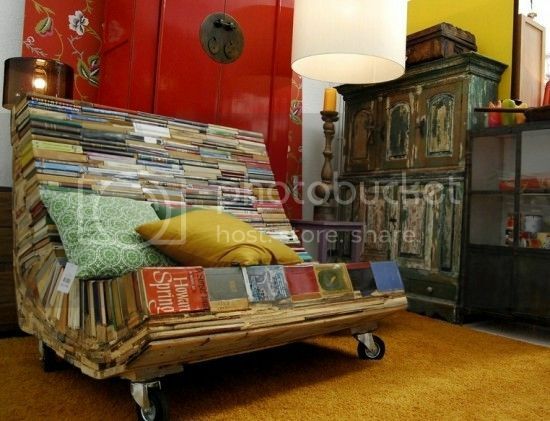 What a clever idea and nice implementation: this chair looks cool and seems to be very comfortable. 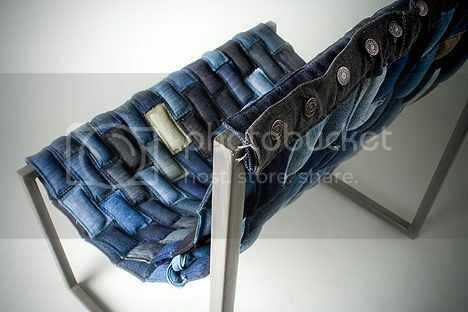 It used several pairs of jeans, I guess, because the scraps are in different colors. 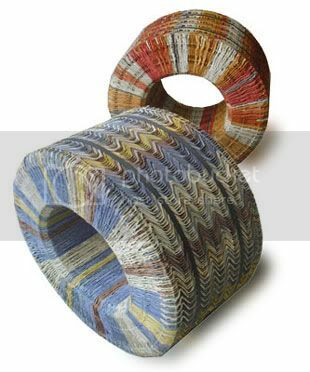 Denim is thick and reliable material, so it should be quite durable. 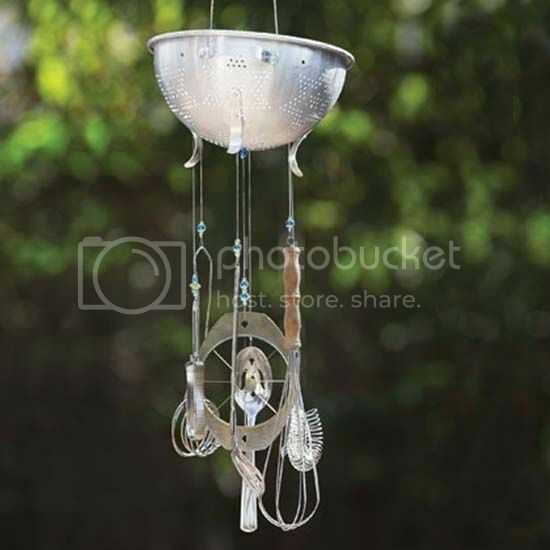 Play around for more designs! 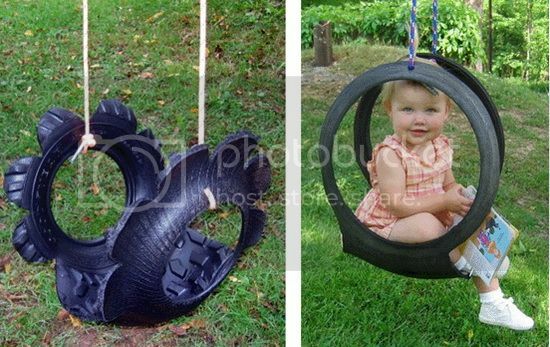 No matter why you need more outdoor furniture (for summer outdoors or renting), this is a great money-saving idea! 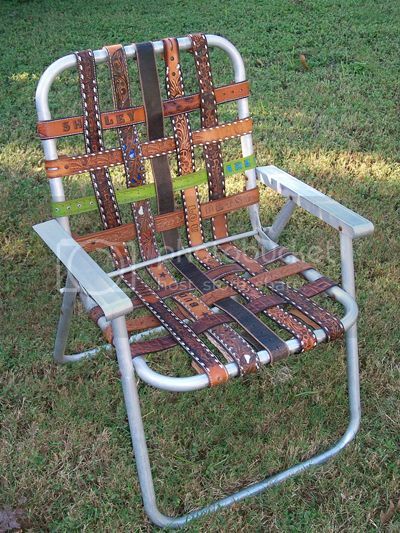 If you have an old lawn chair that is already too old to offer your barbecue guests to sit on it, here's a great idea to renovate it: use your old forgotten western belts as webbing for the tired chair. 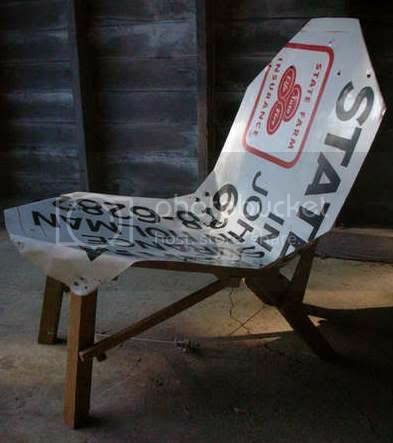 Breathe new life into your backyard chair! 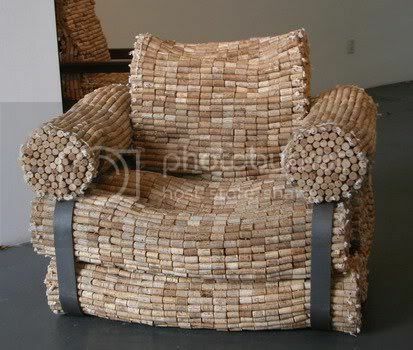 OK, we already have all kinds of weird and fun chairs: a cardboard chair, a glass bottle chair, a tennis ball chair and even a drinking straw chair! 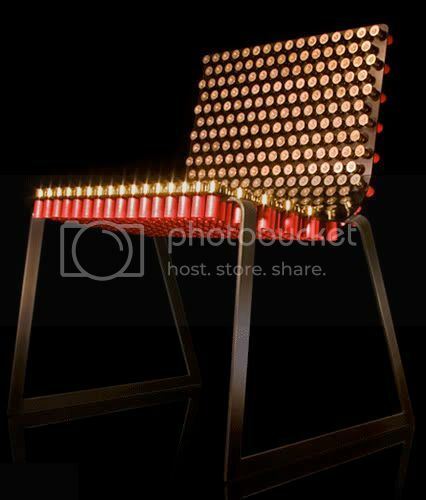 And today we have yet another cool-looking, funky diy chair: a shotgun shells chair (warning: you'll need too many shotgun shells for that)! 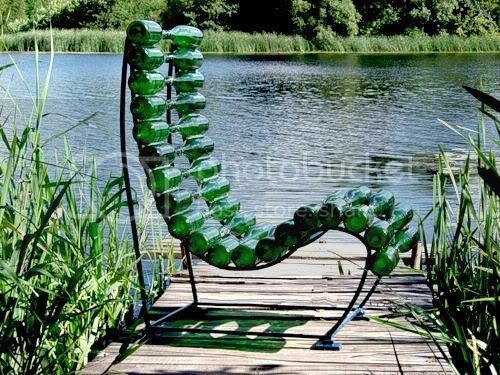 I am not sure how solid this plastic bottles chair is but it looks like a comfortable one. 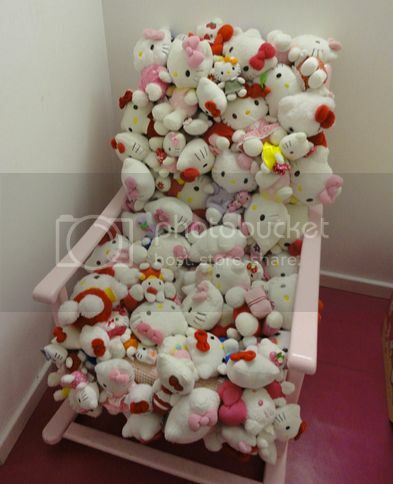 I don't mean it is good for sitting there all day long but it does seem to have some relaxing massage effect we all need at the end of a long day. 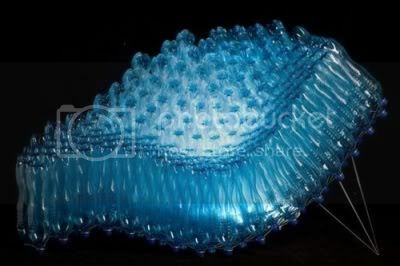 All you need is to collect plastic bottles and glue them together! While we have already covered chairs made of traffic signs, we find it necessary to share this diy project as it contains a detailed instruction on creating a road sign stool! If you still need more ways to recycle egg carton - apart from eggcrate lamps and other diy gadgets we posted on recently - man, you must have plenty of egg carton, here's another idea for you: a comfortable footstool. 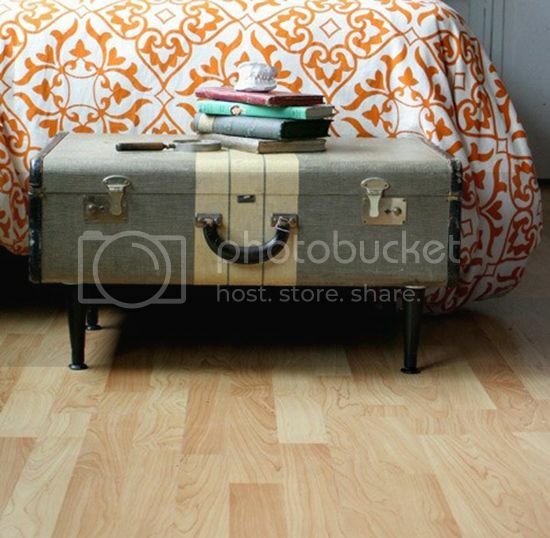 As a footstool it can be used upright or on its side for a relaxing rocking motion; it also makes a sturdy base for a coffee table. 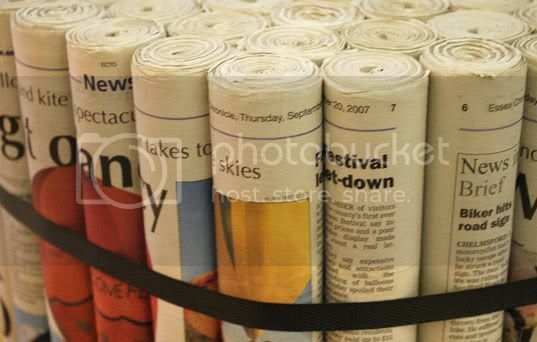 We once mentioned one cool way to re-use FedEx shipping tubes: as a wine bottle rack. 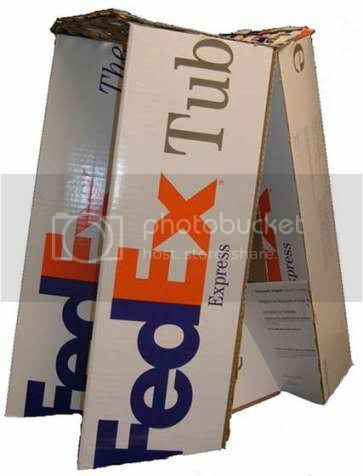 Here's another creative way to take advantage of FedEx triangular shipping tubes if you receive plenty of mail: create a FedEx tubes stool! 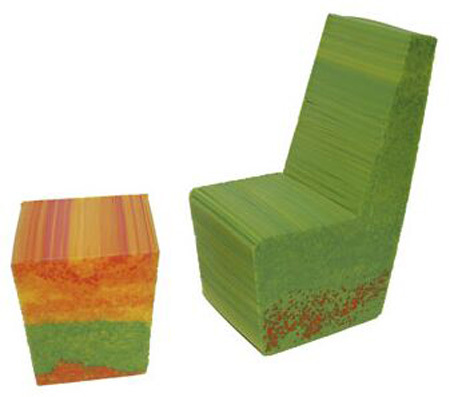 It doesn't look too comfortable to say at least but can be a good idea if you need a temporal place to sit on. 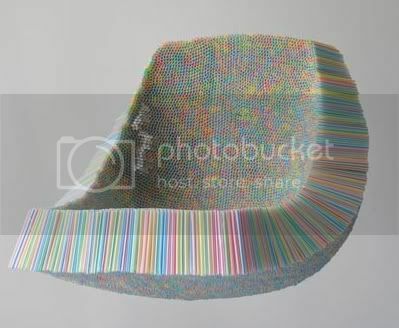 I am sure this chair has a cool massage effect: so you can just sit and relax! Great way to relax after a hard long day! 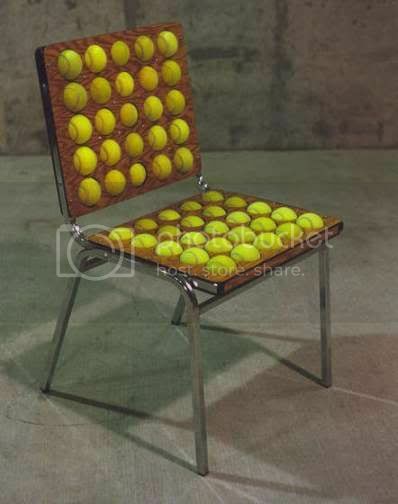 The tennis balls you see are not glued in place; they are held only by different-sized holes in the top and bottom sheets of plywood. The holes on the bottom are smaller so the balls don't push through when you sit on it. 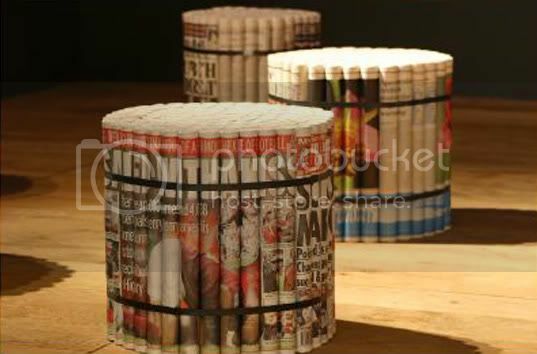 Need a quick stool for your porch? 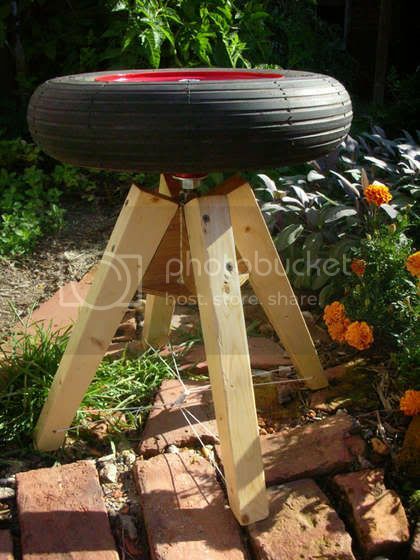 Here's a brilliant idea for you: a stool a of a wheel! Not sure how comfortable it is but why not?